The sun still shines bright in the winter and you got to keep you style even in the cold weather ladies. 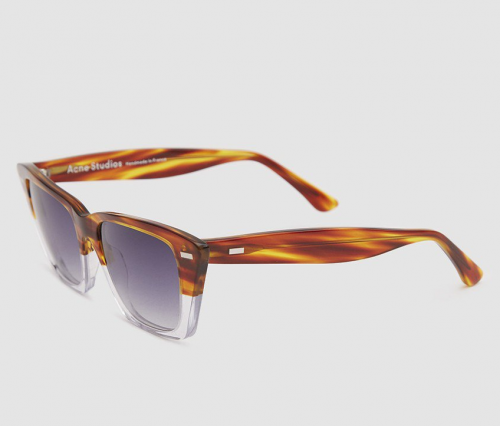 These “Ingrid” butterfly shaped sunglasses from Acne Studios in Tortoise. Acetate frames with Grey lenses and clear nose guards. Engraved logo detailing at interior temple and visible metal core wire at temples. Handmade in France and these can be yours HERE.